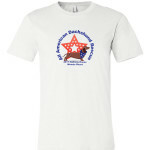 Buy a shirt to support the All American Dachshund Rescue! for Expenses incurred in the rescue of dachshunds. 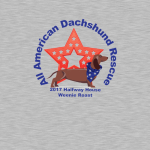 On April 29, 2017, the AADR will host its 2017 Halfway House Weenie Roast in Lewisburg, TN. This will be our second gathering at the Halfway House! 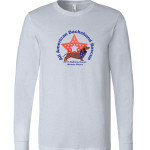 There will be a silent auction, games for the dachshunds and hopefully weather permitting.... dachshund races!! We will be serving hot dogs, chips and water for everyone. Bring your lawn chairs, canopys (if you have one) and your dachshunds. 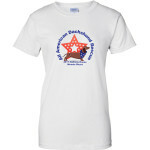 Sammy, our wonder dog, will be there with his slave, Wendy! 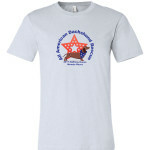 We are planning to take a group picture of all the members that attend with Sammy. The Mini Weiner-mobile will be there for pictures once again!! We are planning on 10am-3pm rain or shine. I hope you will purchase a shirt to support the AADR whether you intend to join us at the Halfway House or only wish you were attending!! 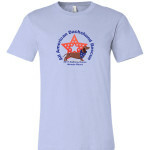 It will be doxie heaven in Lewisburg, TN on April 29th!! Brother Bubby was rescued by AADR. I'm supporting the amazing people who help these beautiful dachshunds who deserve better lives. Thank you!! 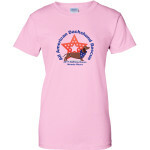 Love dachshunds! 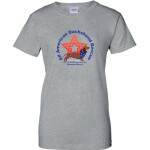 AADR rescues homeless dachshunds and finds them caring and loving forever homes.